Do you know about all the wonderful Social Action projects that are taking place at CBS? We would love for you to join us. We have many events which are appropriate for all ages and are a great way to introduce children to the concept of Tikun Olam. Helping begins at home and that is why we are expanding our Chesed helpers to include such good deeds as: providing companionship or a ride, visiting the sick, picking up groceries, providing a meal, helping with light yard work, etc. We wouldLOVE if we could put your name on the list as a potential available Chesed helper. Please contact Kim Moore if you need a good deed performed or know of someone who does AND if you can be a helper yourself. We participated in the Jewish Community Food Stamp Challenge (www.foodstampchallenge.com). This was not a political, but rather a teachable moment for you and your children as you each try to survive on $1.50/meal for the week and then, took your food cost savings for the week and donated them to Mazon, a Jewish hunger organization (www.mazon.org) or to a local organization. So How Do I Get Involved?…. We will be hosting other events and collection drives so please be on the lookout in the email blasts and bulletins. For more information about any of these programs or if you would LOVE to volunteer, contact the office or the Social Action Chairperson, David Kleber at davidkleber@bellsouth.net. Beth Shalom is starting a Community Action program called the Backpack Buddies’ Program to feed hungry children each week. We are partnering with Kingsley Elementary School, a Title 1 school, where children receive free breakfast and/or free lunch each day. Unfortunately, many of these children have little or nothing to eat over the weekends and . . .
INTRODUCING…. THE BETH SHALOM MITZVAH MEN We are a group of guys who are ready, willing and able to help our Beth Shalom community, one good deed at a time. We can mow grass, paint a fence, flip a mattress, do minor handyman work around the house, provide basic tech support, etc., for people . . . Please help us to feed people in our community. Here are links to social action pages from various arms of the Conservative Movement that you might want to learn more about . . . Thank you for your desire to join us in our efforts to fight hunger. The Atlanta Community Food Bank relies on donations of food and on more than 15,000 volunteers every year in various capacities. Individual volunteers and volunteer groups lend support to our day-to-day operations as well as helping to staff special events and . 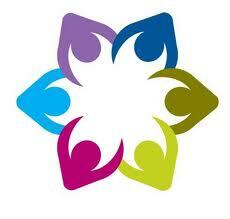 . .
VOLUNTEER OPPORTUNITIES! Have you been looking for a volunteer opportunity? Well, consider sharing some of your time and be matched with a new friend, who will become like family! One Good Deed matches it’s volunteers of all ages with an older adult to provide ongoing and friendly companionship. Be a part of the change and . . .
Carly Sirlin understands the impact a positive mentor can have on the development of a child. She also knows not all children are lucky enough to have an adult in their lives with whom they can form that unique kind of relationship. As the new PAL program coordinator at JF&CS, her goal is to match . . .
Beth Shalom will be cooking kosher meals for the Shelter from Sunday, January 13 to Friday, January 18. We need volunteers to help cook, to transport the meals and to serve the meals. Rethinking Your Simcha: A Guide to Environmentally Friendly Choices for Events and Parties Mazel tov on your upcoming simcha! The goal of this guide is to help our congregation think about how to celebrate a joyous occasion while keeping our natural world in mind. The idea of “reduce, reuse, recycle” is a guiding principle to inform many . . . Looking for meaningful ways to spend your days? 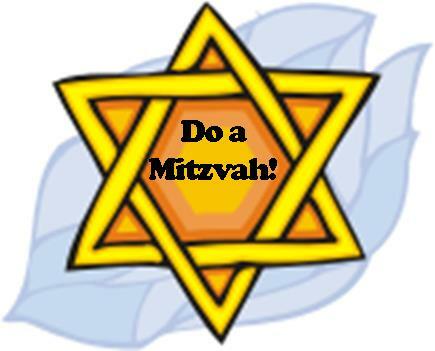 Join us at the Midweek Mitzvah Club This new group for adults would meet for a monthly weekday community service project. Project ideas include . . .